Dance Off! 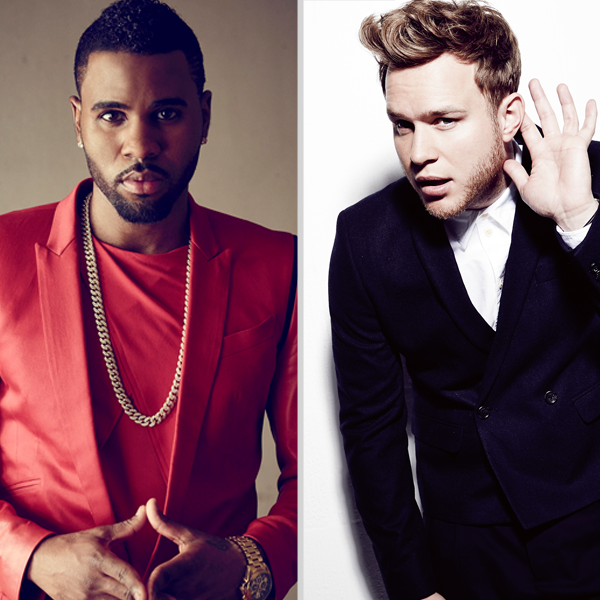 We Pit #CapitalSTB Stars Olly Murs And Jason Derulo Against Each Other! It's officially time for two of the smoothest men in the music industry to go head to head in an INTENSE dance-off! Do you come over in a hot sweat when Jason Derulo throws down some serious shapes to 'Talk Dirty'? Does your heart rate increase by 1000% whenever Olly Murs styles out some sweet moves to 'Dance With Me Tonight'? Yeah?! Well, you're in for a real treat then! Both of these #CapitalSTB 2015 stars have some AMAZING choreography up their sleeve, however only one can be the 'King Of The Dance Off'. The question is…who do YOU think it will be? Now then, that's enough of the pleasantries. Let's get down to it! 1. The 'Michael Jackson crotch-grab'. Now this really IS tricky. Jason has the wiggle in the hips but Olly can emulate the 'Thriller' superstar whilst apparently gliding across the floor #Winning. Is anybody else feeling a lil' dizzy right now? Whether you are from Miami, Florida or good ol' Essex nothing beats a classic swirl. How many of you ruined A LOT of socks trying this out when you first saw someone do it? No? Just us then… #Awkward! 4. The 'boogie wherever the hell you like' dance. It doesn't matter where you are or who you are with, there is no reason you shouldn't be throwing some sweet shapes in the street. 5. The 'two finger groove'. When you've tired yourself out from ridin' solo and being wrapped up you can always resort to finger dancing…yeah that sounded weird. Watch Olly Murs' INCREDIBLE live performance of 'Dance With Me Tonight' at the Capital FM Jingle Bell Ball 2014.